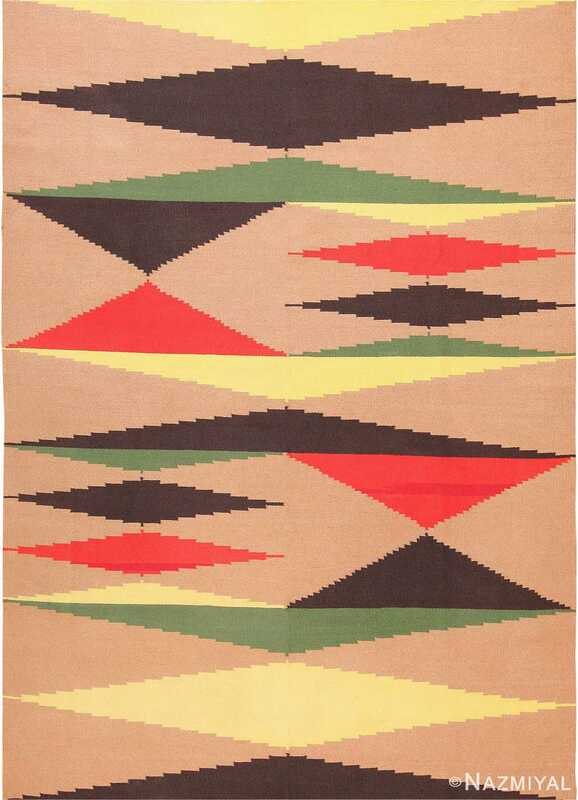 Vintage Art Deco Kilim, India, Circa: Early 20th Century, 1930 - Here is an impressive and unique vintage Oriental rug - an vintage Art Deco Kilim, woven in India sometime during the 1930's. The Art Deco movement from which this carpet emerged was a wide-reaching art movement that had a tremendous impact on contemporary aesthetics. In contrast to the Art Nouveau movement, on whose heels it followed, the Art Deco movement is generally characterized as geometric and stylistic, with an emphasis on a sort of reworked neoclassical ideal of aesthetic beauty. 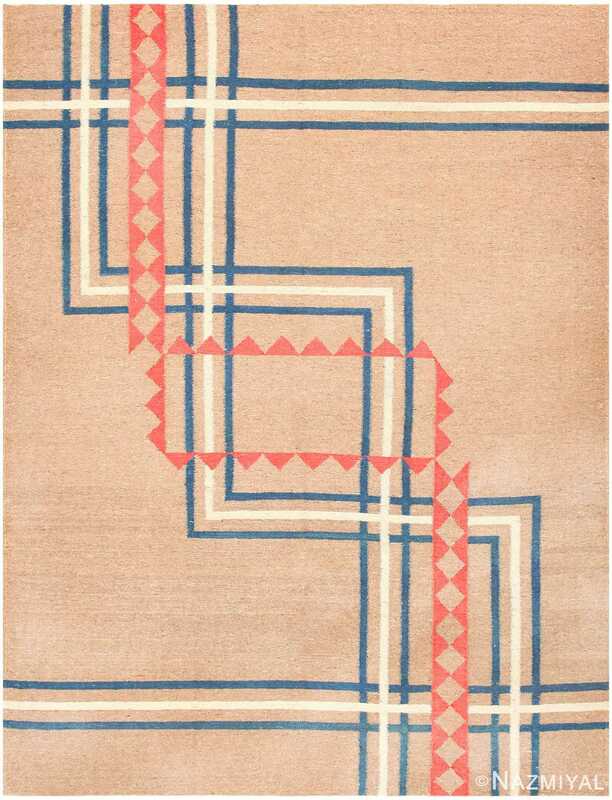 This particular carpet demonstrates the experimental nature of Art Deco: for despite its age and origination in India, this 1930's era carpet is exceptionally modern. 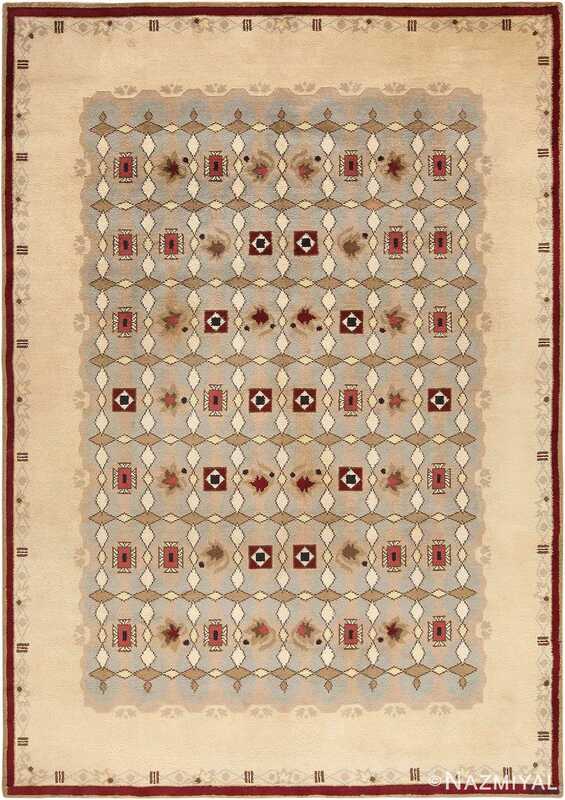 Rather than boasting the elaborate and traditional decorative qualities of antique Oriental rugs, this carpet features a design of rectilinear line work set against an otherwise unadorned field of soft brown. Blue and pale ivory lines are thin and straightforward. On top is a wider line, red, with diamond shaped cutouts. 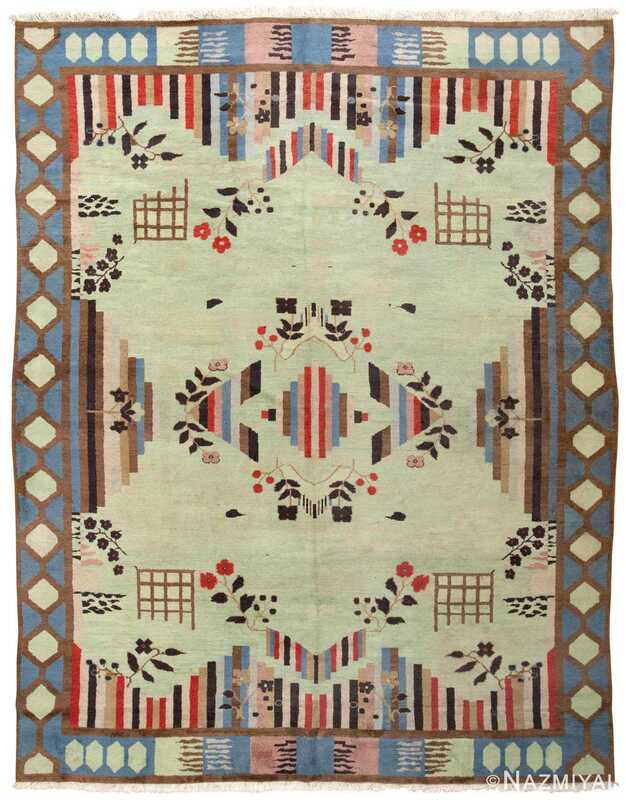 Strong despite its simplicity, this antique Art Deco carpet is an intriguing example.